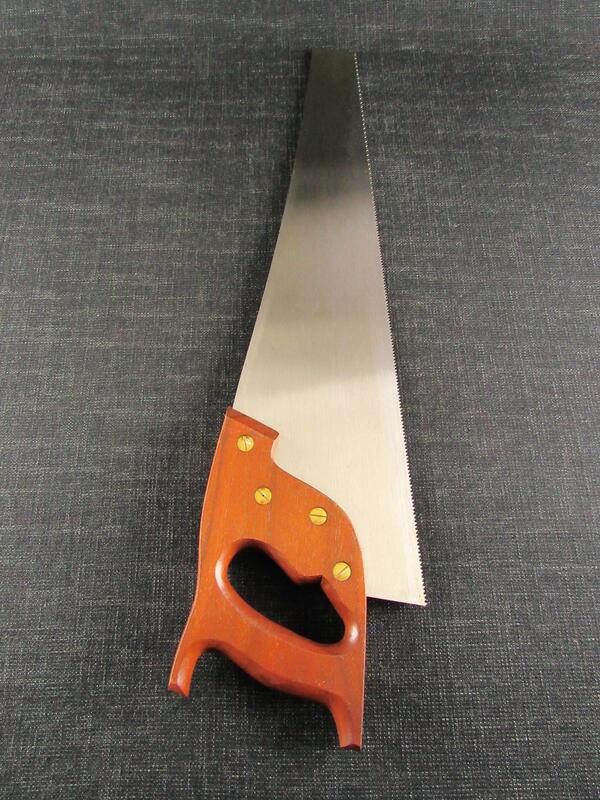 A very little used cross cut SPEAR & JACKSON Double Century panel saw. 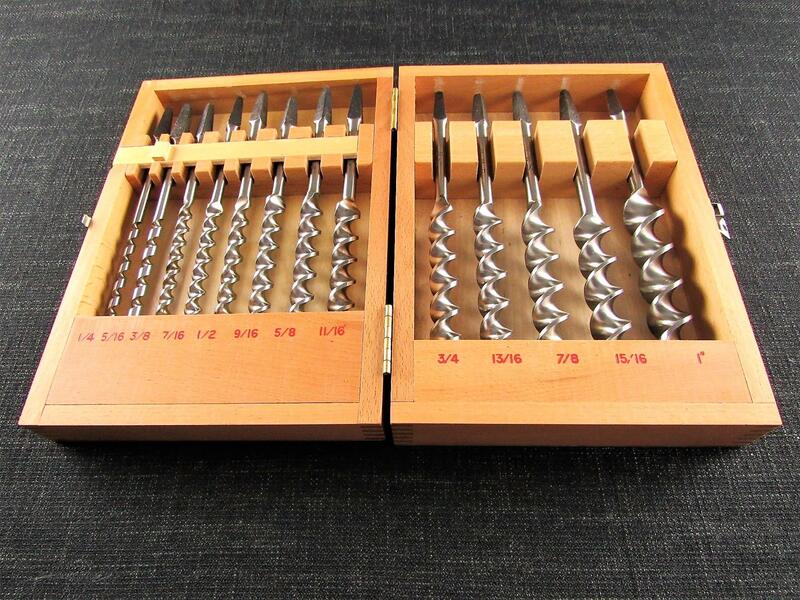 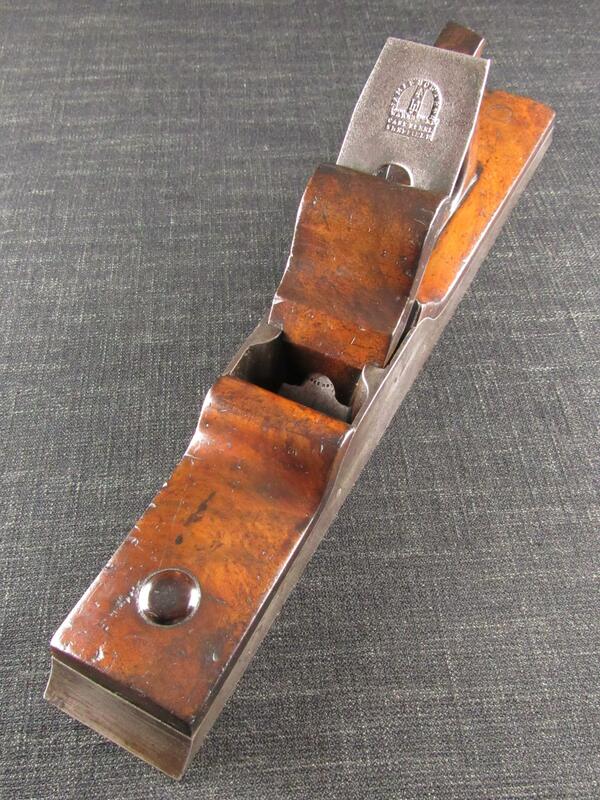 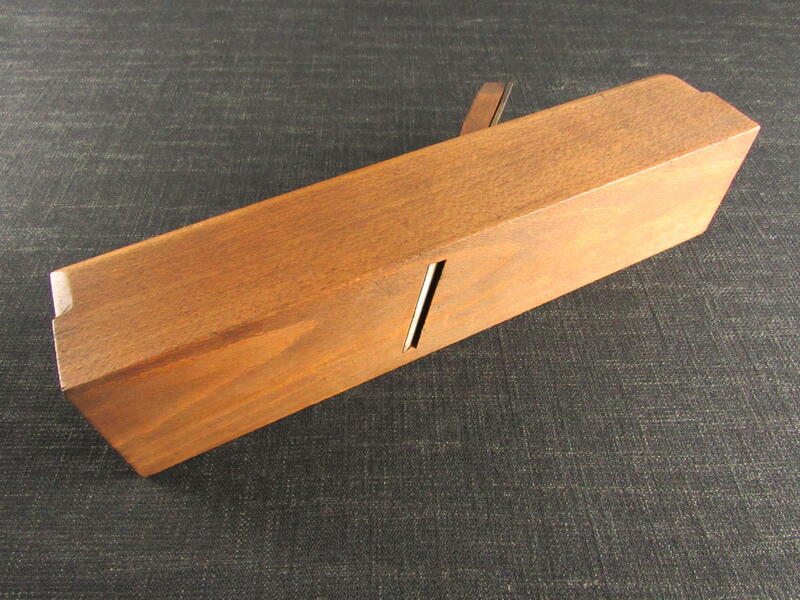 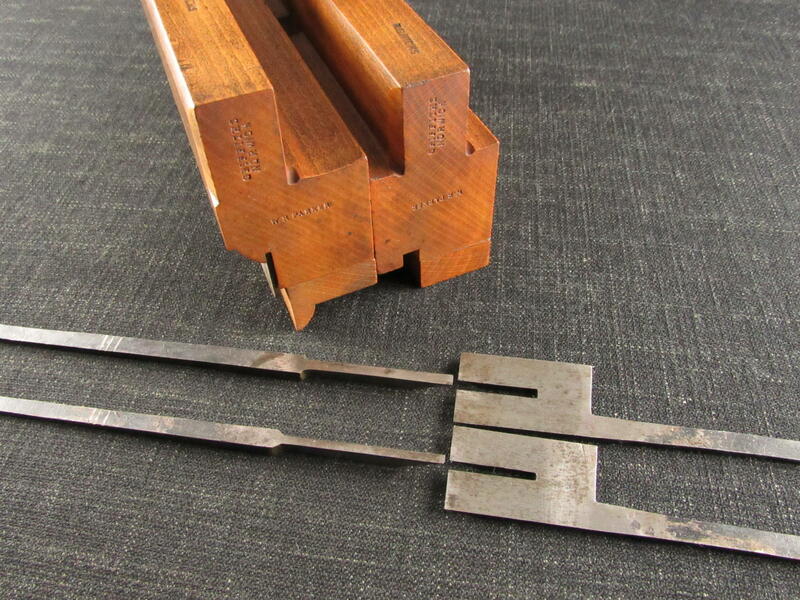 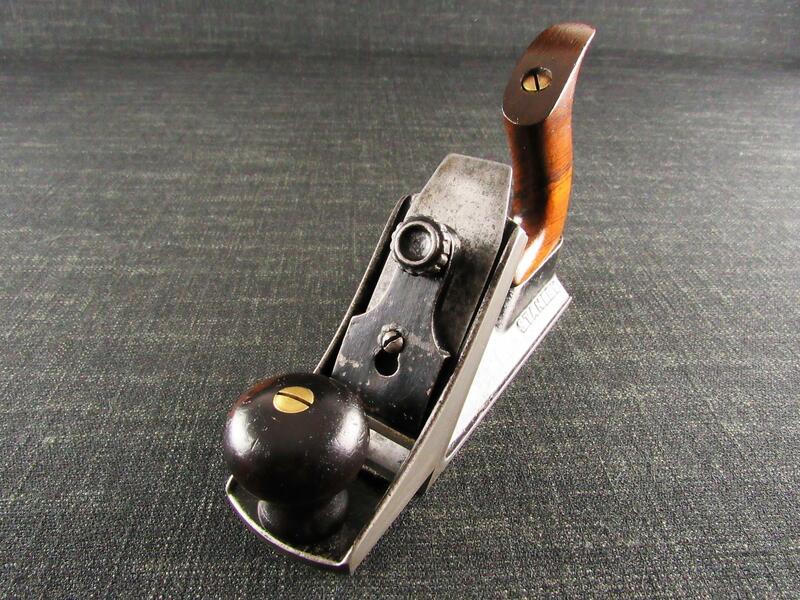 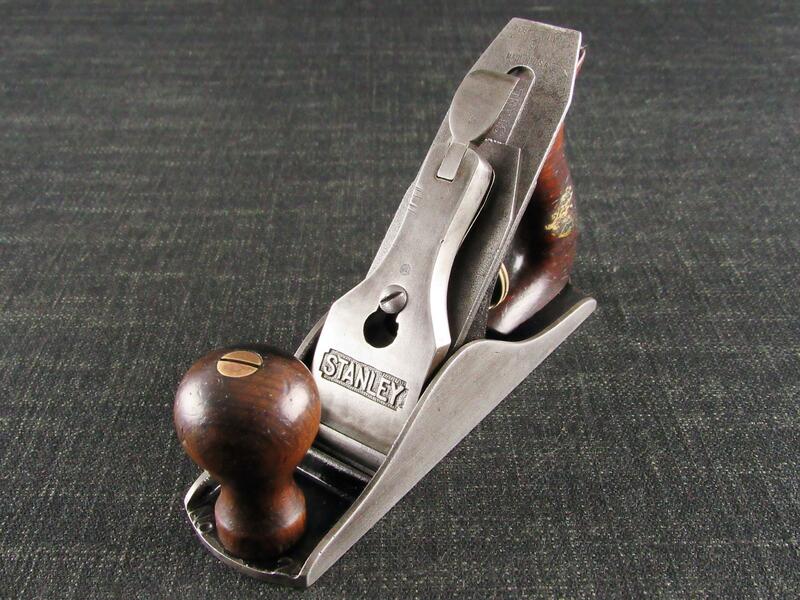 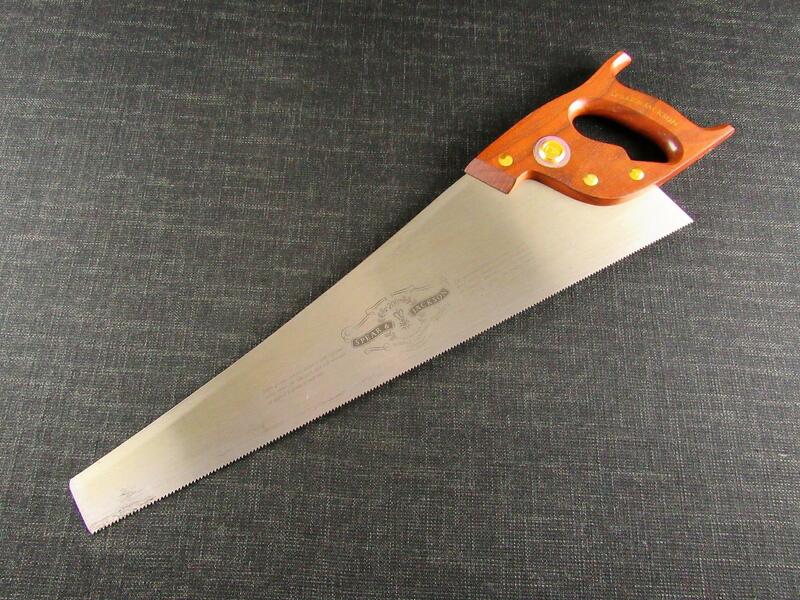 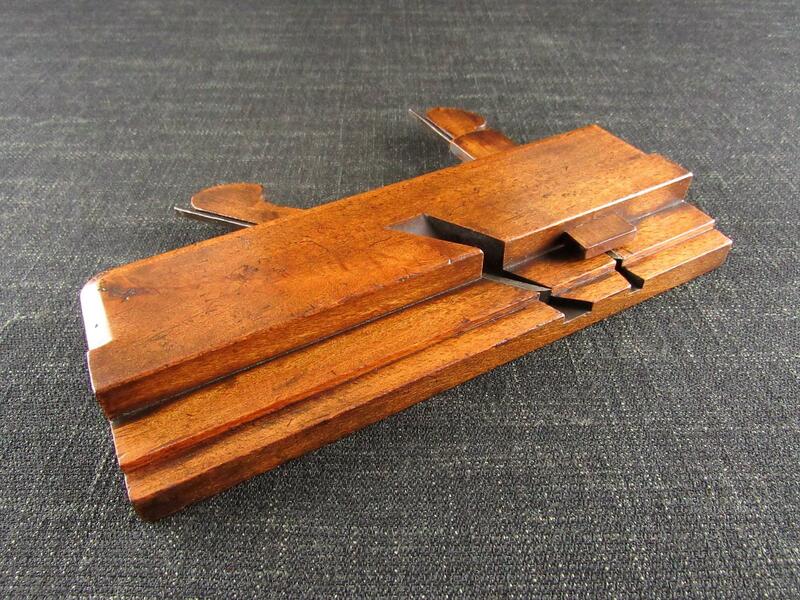 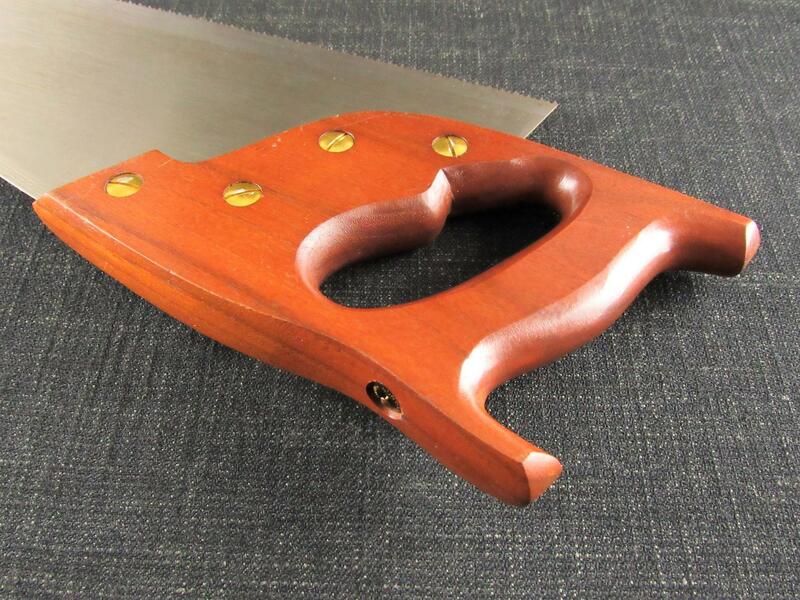 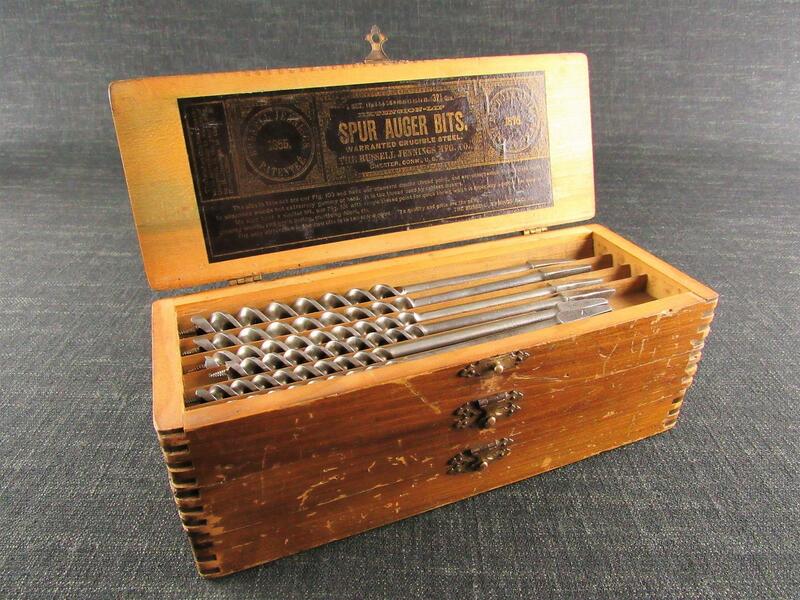 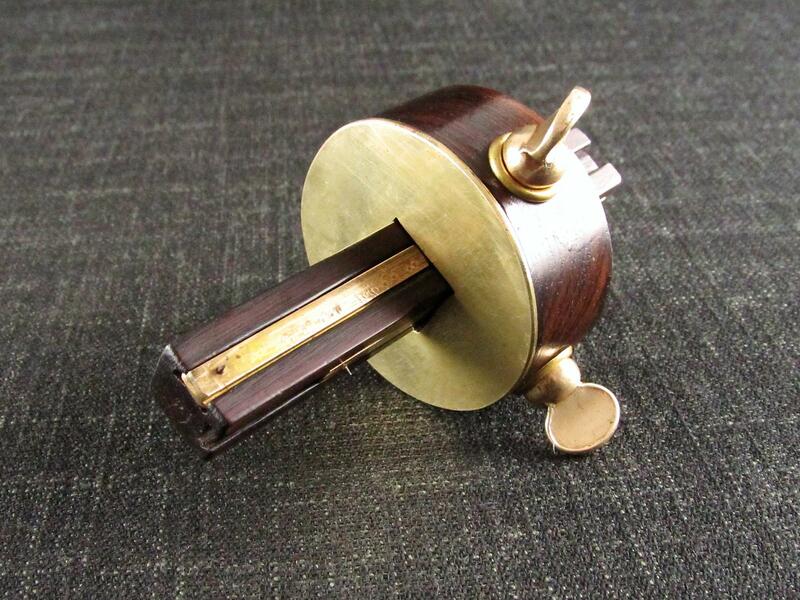 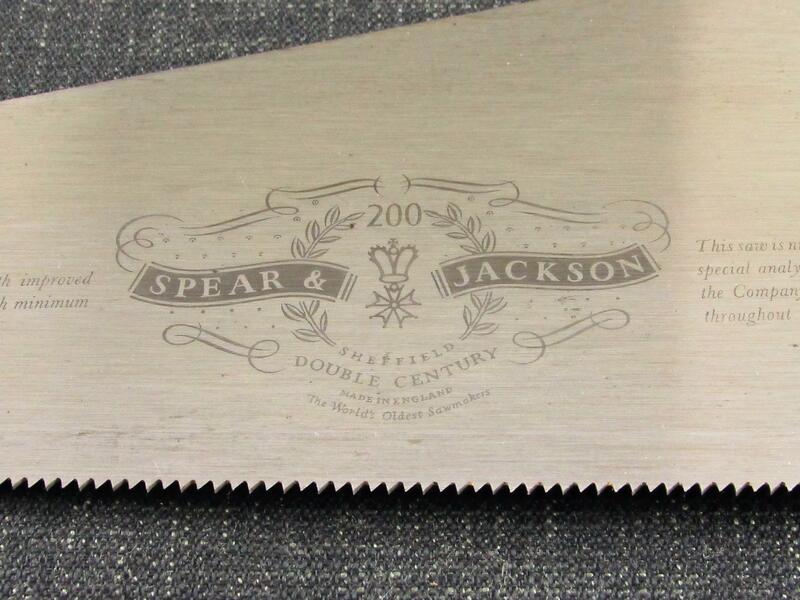 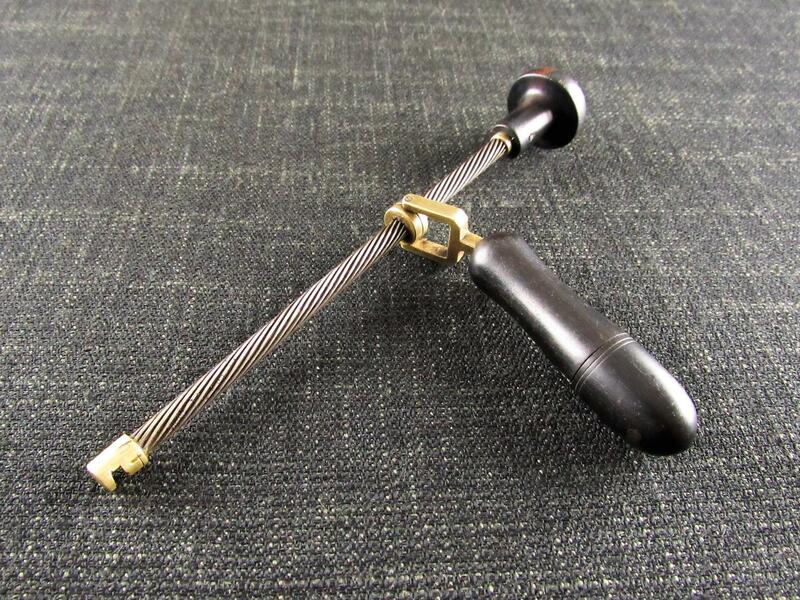 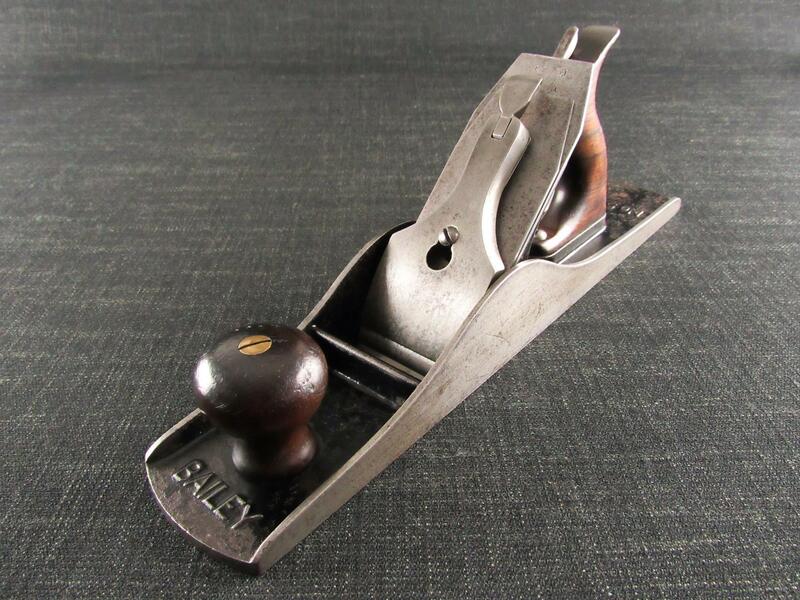 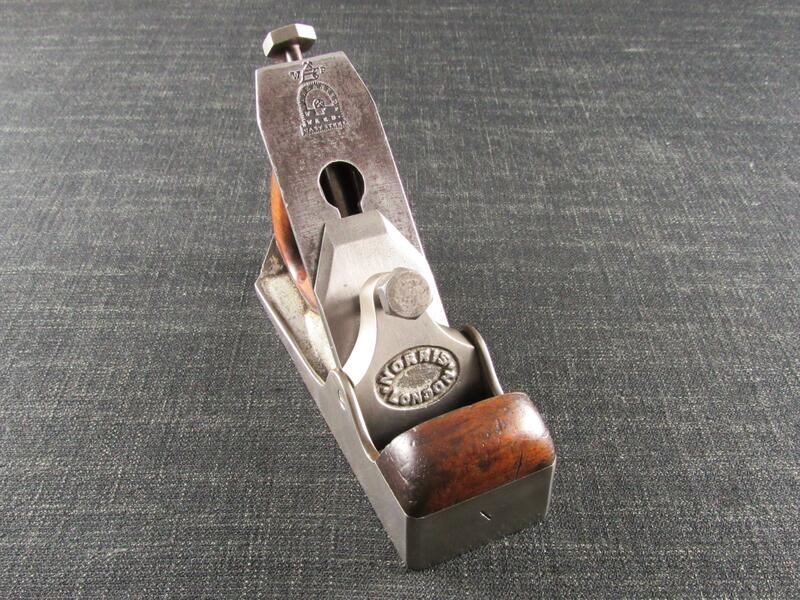 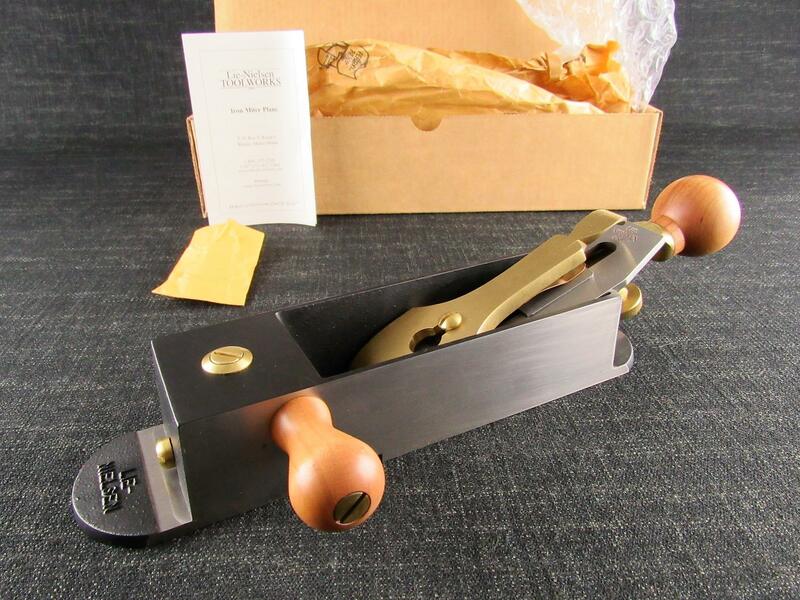 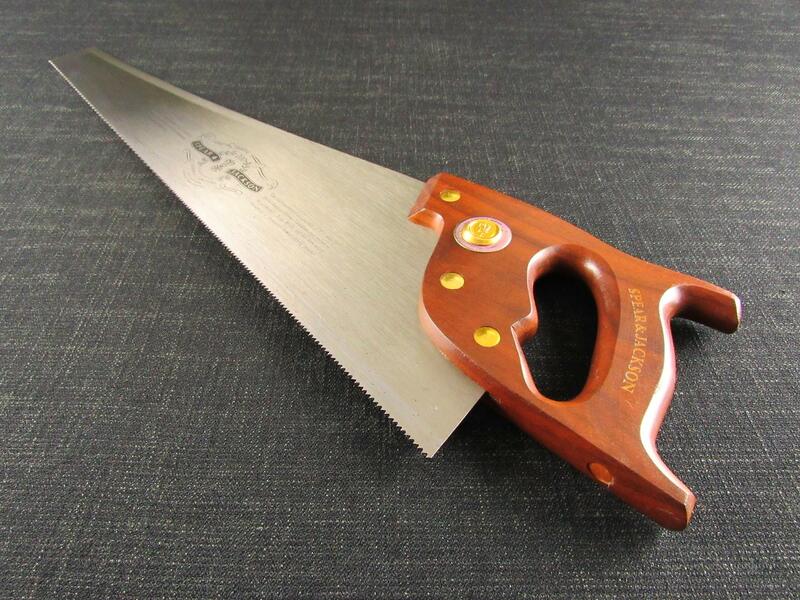 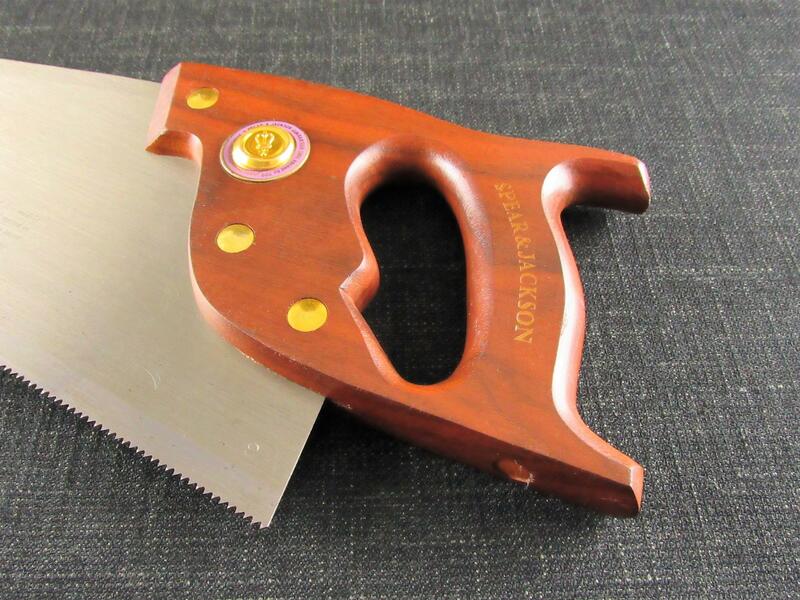 These saws were first listed in the 1961 catalogue to celebrate SPEAR & JACKSONS's 1960 bicentenary. 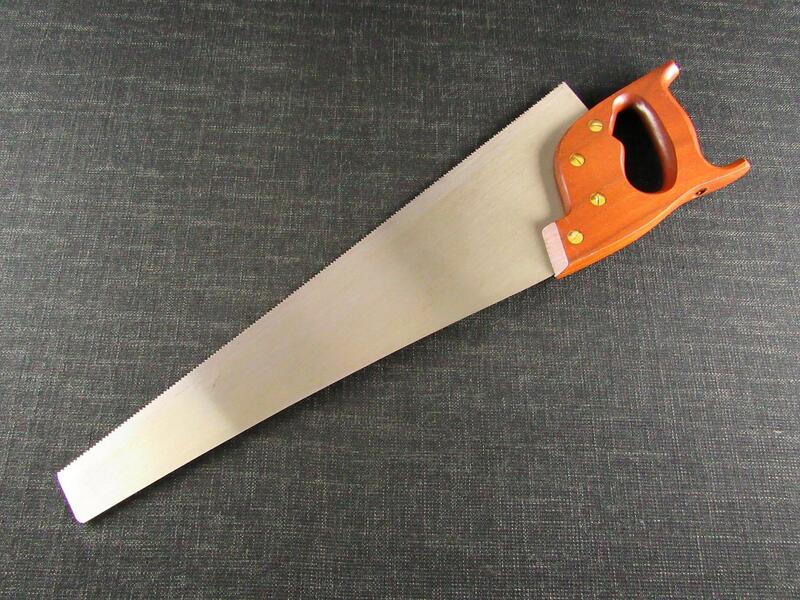 Skew back glazed and polished blade. 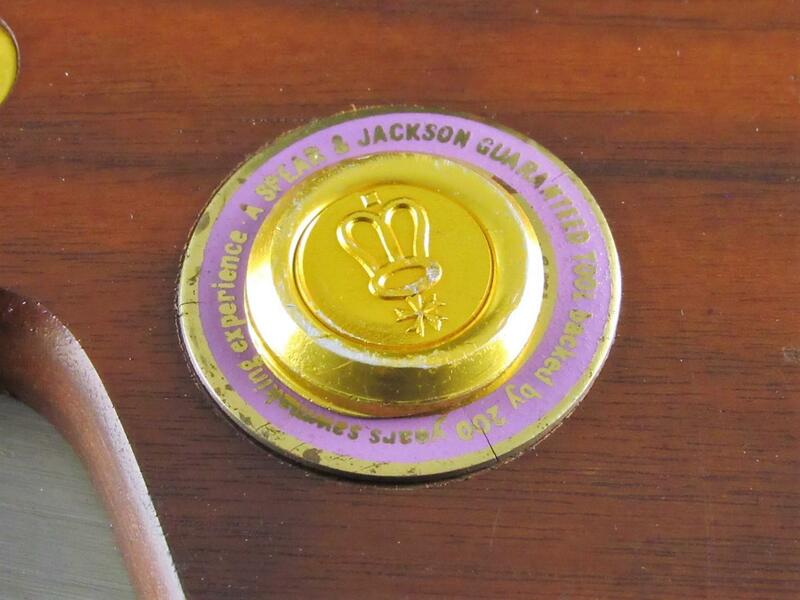 Fitted with a mahogany 'no-break' handle with four brass fixings including the Crown medallion with royal purple/pink backing disc. 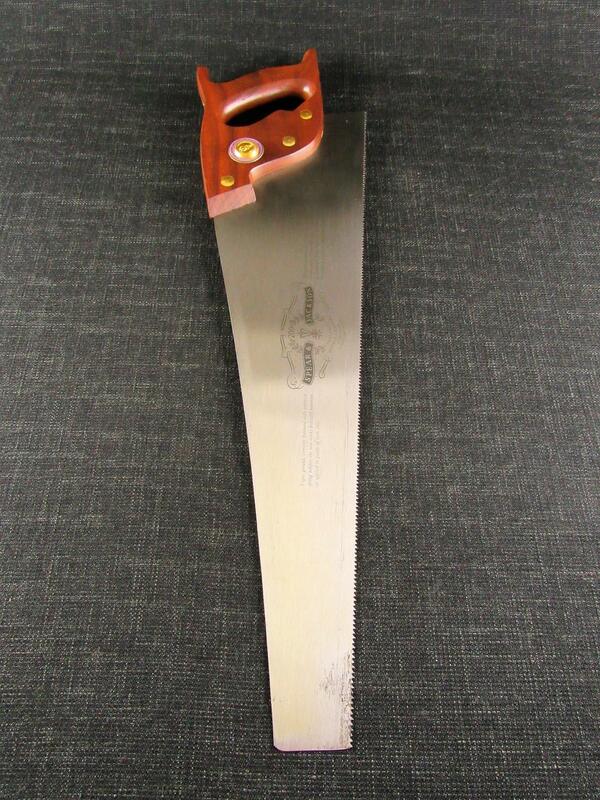 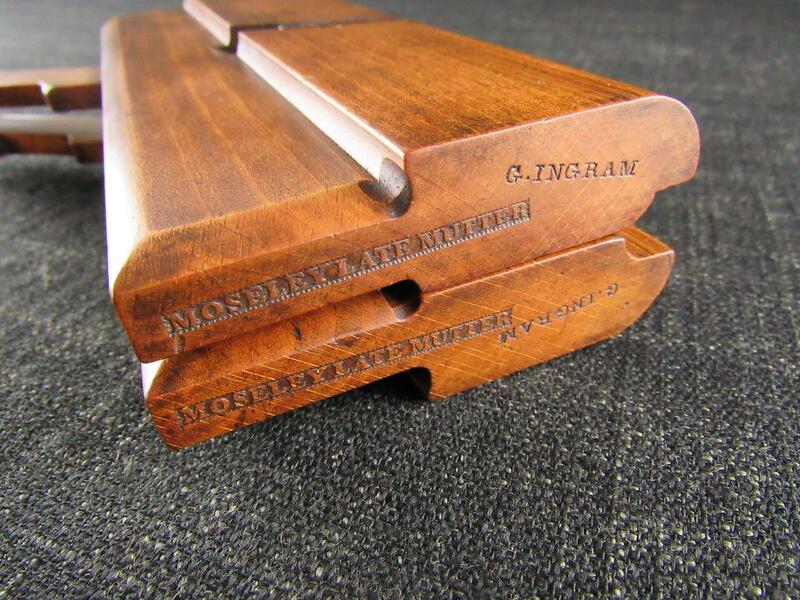 The blade measures 215/8 inches overall and is straight with all teeth (10 tpi) present and well formed. 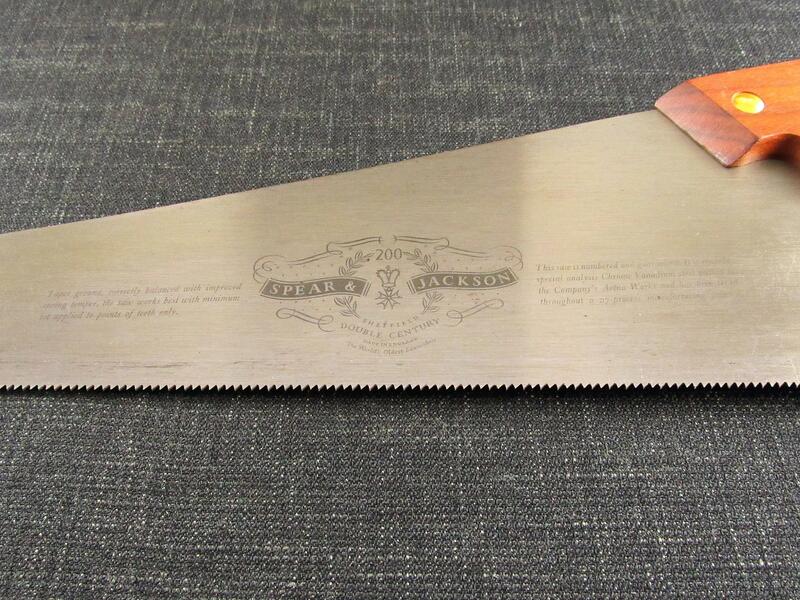 Full Double Century markings to the blade. 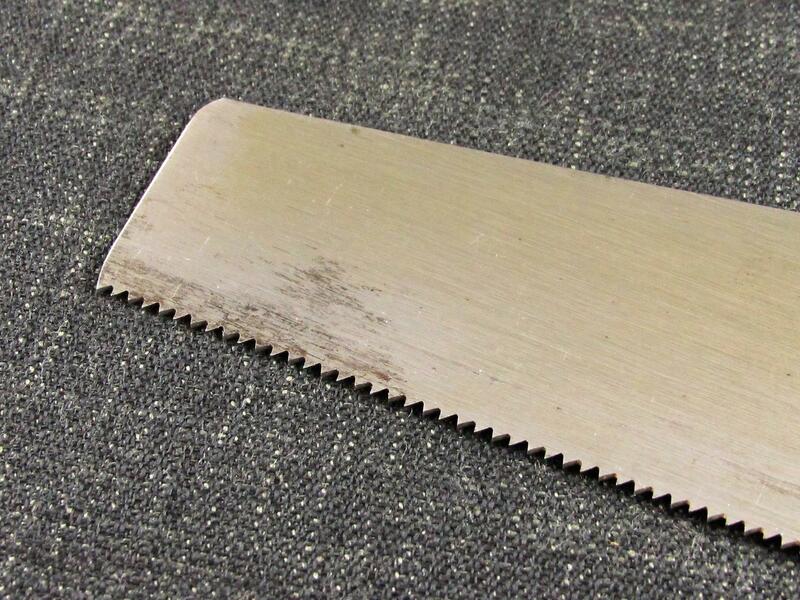 Some very minor surface staining near the toe. 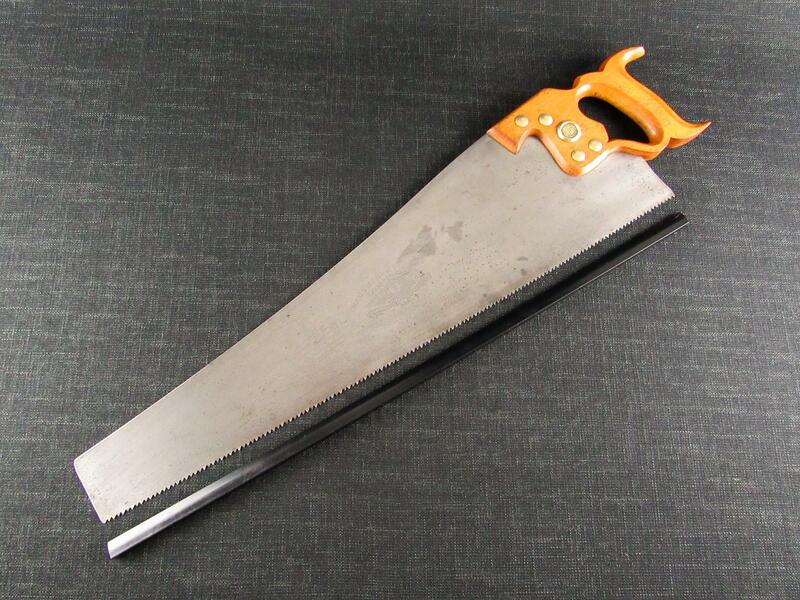 A fine example of a quality saw.